THIS ITEM IS NOT AVAILABLE AT PRESENT. WE WILL NOT BE GETTING ANYMORE Batman The Animated Series Catwoman Gallery Statue. From the Batman The Animated Series collection by Diamond Select. 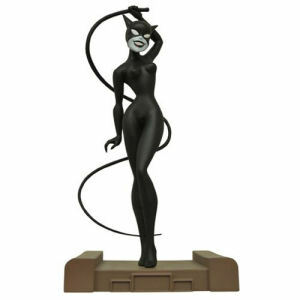 Batman The Animated Series Catwoman Gallery Statue.Statue is made of PVC and stands 10 inches tall.